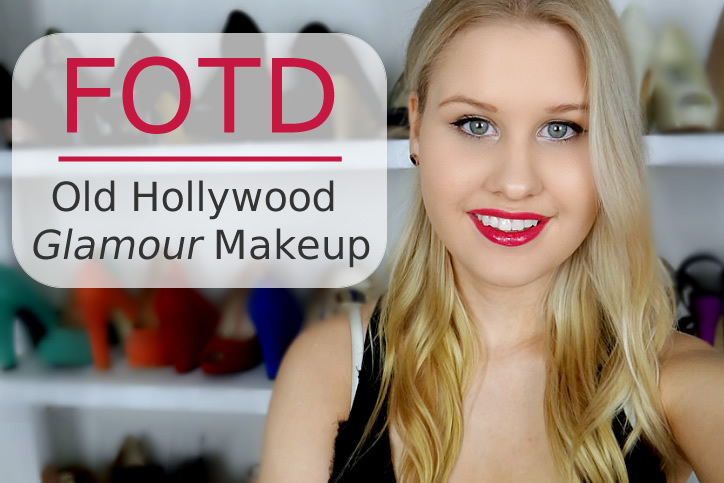 I was hugely inspired by old Hollywood "glamour" makeup while creating this look. Although I didn't realise it at first when doing my base, eyebrows and eyes but once I added the classic red lipstick it hit me that my makeup was very 1950's. I finished the look off with some slight pin-curls (not as tight or dramatic as the Hollywood glamour ones though) because why not make it even more 1950's. So I wanted to share this look with you all to show that you can definitely wear glamour makeup and if you toned down the red lips, it could even come an everyday look. I absolutely love Marilyn Monroe, I mean...who doesn't right?! So I have definitely admired Marilyn's makeup in all of the movies I have seen her in and I suppose my idea of old Hollywood glamour makeup has been formed by mainly her. 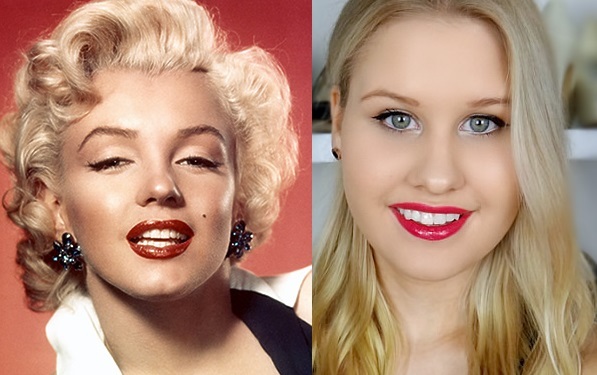 So obviously I look nothing like Marilyn Monroe but I think our makeup is fairly similar, especially the brows, eye shadow, base colour and lipstick. Now if I was purposefully trying to recreate a 1950's look then I definitely would have extended the liner a bit giving me a more almond shaped eye and added some flirty lashes. love your photos and your lay out! check my blog if you want!!! Wow I love the 50s inspirations and you seriously look flawless! That red lip is the perfect color. Oh wow u are so beautiful! I seriously LOVE this make up look!So super glamorous. Looks awesome, I like it. I like to use these products. I love the red lips! that color is gorgeous on you!